For many veterans, cultural differences – such as the value of mission versus money, and success of the team versus the individual – can be among the toughest aspects of transitioning from the military to the civilian workforce. By simply being sensitive to this transition, managers can help their veteran employees, as well as the team and organization, be successful. There is no shortage of sterotypes out there, but managers who lean on assumptions about veterans do themselves and their veteran employees a disservice. The most important thing to understand is the diversity of veteran experience – variance in the military branches, amount of combat experienced, and many other factors. As with civilian life, not all veterans have the same experiences while serving. Another misconception about veterans is that many of them have post-traumatic stress disorder. In fact, 46 percent of HR professionals surveyed by the Society for Human Resource Management in 2010 cited PTSD and mental health issues among the challenges of hiring veterans. However, the truth is that the vast majority of veterans never see combat, and -- of those who served in operations Iraqi Freedom and Enduring Freedom -- under 20 percent have PTSD in a given year, according to the U.S. Department of Veterans Affairs. While stereotyping a veteran new hire is unwise, it’s also unwise to assume that he or she is accustomed to the nuances of office culture. The cultural differences are actually the most important and difficult aspects of the transition from military to civilian. For example, in the military, it’s all about doing whatever it takes to accomplish the mission. In many civilian workplaces, time is money, so budget and timelines rank pretty high, too. Speaking of rank, a military uniform is an easy way to understand who you are in relation to someone else in terms of role and seniority. It’s part of military protocol. There are no such obvious indicators for veteran employees in the civilian workplace, making it difficult to understand who reports to whom, and where they fit in. The first step for managers to address these cultural clashes is to be aware they exist. One of the biggest issues for civilian managers of veteran employees is not understanding what they don’t know about the civilian workplace. That’s where things can go wrong. Since the military focuses on mission, clearly identify the mission of the organization and team. Provide clear guidelines about your expectations and the parameters for achieving those expectations. Explain what success looks like and the metrics for how that success is measured. Another way to help a new veteran hire make the transition is to assign a “learning buddy,” a team member who is successful and a good role model – if the “learning buddy” is also a veteran, even better. This person would be available to answer questions that may seem obvious, like what to wear, how long to take for lunch, and so on. Don’t misinterpret the loyalty of veterans. Veterans may be loyal by nature and have shown that capacity through their military service, but don’t assume it as a “given.” As with civilians, loyalty is earned through being treated fairly. Veterans rarely leave a job because they were unable to do the work. Most often, they leave a job when they don't feel they fit into the culture. An office culture and manager with sensitivity and adaptability to the veteran employee will go a long way to building loyalty. Employees with a military background typically have high expectations for leadership and are accustomed to leaders who serve to take care of their people and accomplish the mission. They will have the same expectations in a civilian environment. One way managers can exhibit these qualities is to invite ideas, suggestions, and questions from their veteran employees. 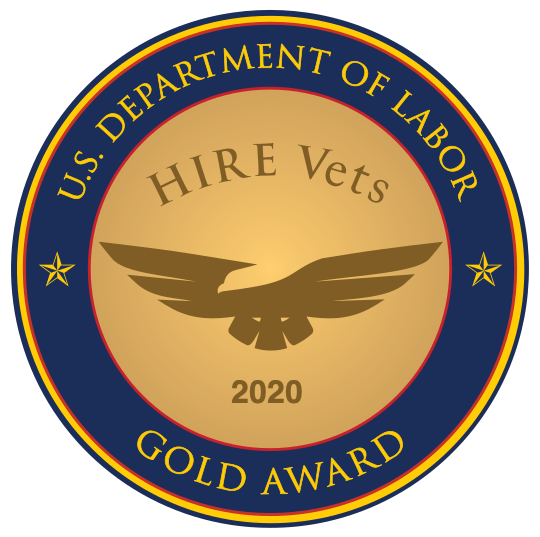 The bottom line is that veterans make excellent employees, and if both sides give each other the benefit of the doubt, it’s possible to build a long-lasting, successful relationship for both the employee and the organization.